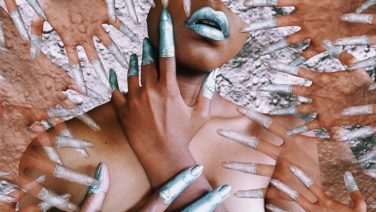 Culture Guide 12-18 November: The Land faded into the distance, Possible Dream Theory #2, Team Trampoline & More! 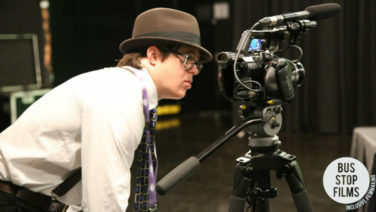 Bus Stop Films have partnered with Information and Cultural Exchange (ICE) in Parramatta to deliver their accessible film studies program for people with a disability in 2019. 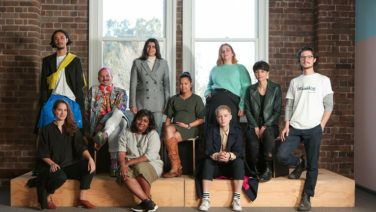 Bus Stop Films believe that film making should be available for everyone and that the industry is richer when diversity is included and seen. 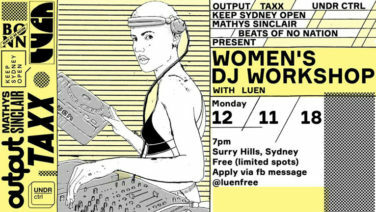 This workshop lead by on of Sydney’s fave DJ’s Luen will teach you the basics of DJing, so you not only know what’s happening behind the decks at the next party or festival but you’ll also have the skills to mix tracks, apply filters and understand club dj equipment too. 2018 SEASON 2 - Suitcase Stories "Missing"
Beware! 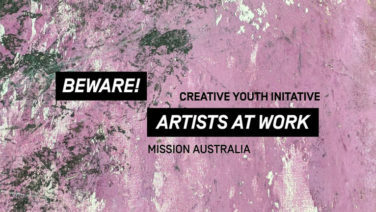 Artists at Work is the yearly collective art exhibition of young people from the Creative Youth Initiative program run by Mission Australia. The exhibition will include a mixture of 2D and 3D artwork using various visual creative techniques and expressions. 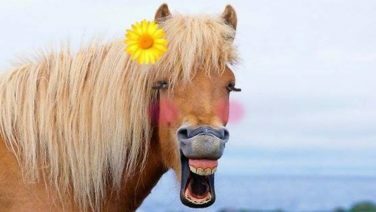 Laughter is the best medicine! 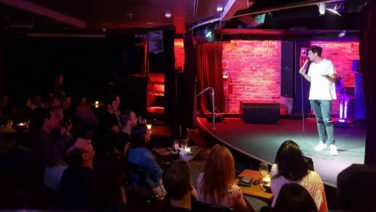 Witness some of the best local and international comedians every Tuesday night at Spring Street Social. Kua ngaro mamao ‘ua atu te ‘enua is a photographic installation that explores the layers of time, memory and Talia Smith’s personal cultural history as a person with Samoan, Cook Island and New Zealand European heritage. Possible Dream Theory #2 brings together artists Polly Borland, Matthew Harris, Drew Connor Holland, Laura Moore, nova Milne, Emily Parsons-Lord, Philjames and Kenny Pittock for a dreamy exhibition at Galerie Pompom. 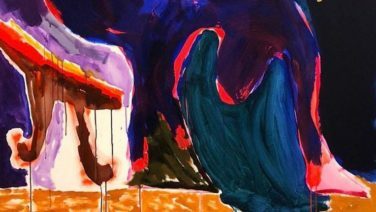 This is the fourth annual Parramatta Artists Studios (PAS) presentation at Artspace! 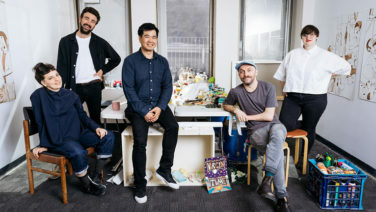 Part of an ongoing partnership that sees the two institutions working collaboratively to further support artists in Western Sydney through curatorial dialogue, mentorship and advocacy, this exhibition will feature Current PAS artists Tom Blake, Chris Dolman, Emily Parsons-Lord, Lisa Sammut and Garry Trinh. 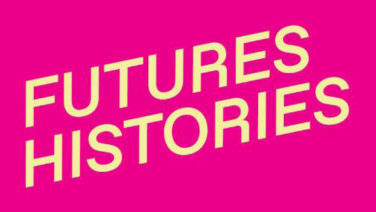 FUTURES HISTORIES is a cohesively designed graduation celebrating the work of students from the School of Architecture and the School of Design, featuring projects from Animation, Visual Communication, Photography, Architecture, Landscape Architecture, Interior Architecture, Product Design, Fashion and Textiles and Masters of Design. 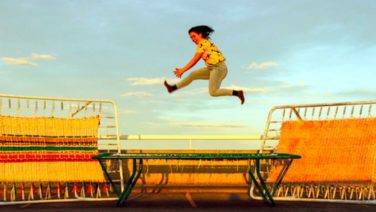 Team Trampoline as a part of Right Here Right Now Urban Theatre Projects is an installation reflecting Blacktown’s very own backyard. The trampoline frames have come from nearby homes to be rescued from a rusty grave and repainted in bold colours with handcrafted matts made with the help of people from Blacktown and surrounding communities. 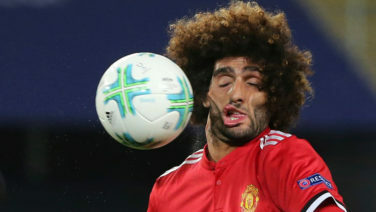 Three performers will take to the arrangement of trampolines and perform a choreographed display of dance, acrobatics and mock competitiveness. 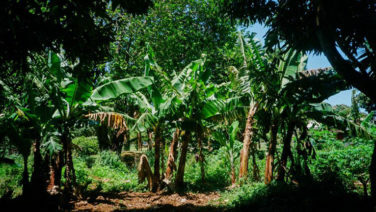 ‘Home ground advantage’ will use the natural tree lined borders of Tillman Park sports field to frame the 12 exhibiting artist’s work within the context of fair play and community spirit. 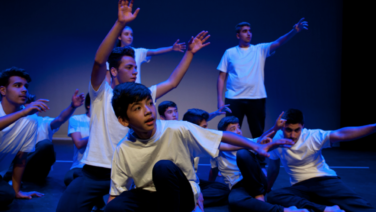 This project combines these themes by recognising a similarity between the balance of togetherness and competitiveness fostered in team sports and that of an arts community, and also simply the act of artistic experimentation being similar to play. The sense of smell is our first sense to develop in the womb yet it is our most misunderstood tool for comprehending the world around us. It has the power to sculpt emotion, influence relationships & revive long forgotten memories. These concepts will be showcased through a series of multi-sensory performances that blur the artistic boundaries between thematic perfumery and musical aesthetics. 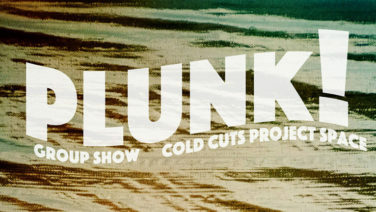 Held in the garage that houses Artist Run Project Cold Cuts, Plunk! Will feature contributions and documenta from: Heath Franco, Mitch Thomas, Talitha Kennedy, Liz McCrystal, Johnny Miller*, Patrick Mason and Billy J Burke. 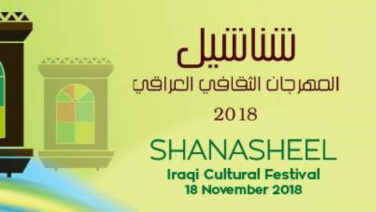 The Shanasheel Iraqi Cultural Festival returns to Casula Powerhouse Arts Centre bringing together the very best in Iraqi arts and culture for an action packed day. 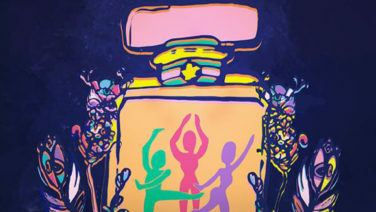 This year’s program includes a free market fair day called The Bazaar of Bagdad, a short film festival made up of award winning short films from Iraqi-Australians, a classical music concert featuring the MACAM Music Ensemble and a keynote speech from orthopedic surgeon and former asylum seeker Dr. Munjed Al Muderis.